Colorblock Hoodie is in stock. We will print it as soon as you order it. Colorblock Hoodie,| Brand: Jerzees 50% Cotton/50% Polyester. It was a gift, and they loved. 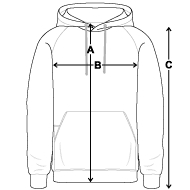 The after school program of an on-field spectator's outerwear. It wears on the upper body really well. Loved it! This wasn’t our first order, so I knew it would be great, and it was!